Vintage Eve Circa Nov. 2015: A Favorite Again! Rhone Rangers LA! Rhone Rangers, one of the first annual events I was turned onto when I “dedicated myself to wine” in 2007, is still one of my favorites. Not only for its focus on Rhone varietals* like Grenache, Syrah, Mourvedre (aka the grapes in a a “GSM” blend), Petite Sirah, Viognier and Roussane – delicious wines made famous in France’s Rhone Valley but produced in California – but also for a chance to see favorite winemakers, wineries, old friends and making new ones. Ed Clark and Eddie Bushman at RR. This year the Rhone Rangers Los Angeles event took place at The Reef, in downtown Los Angeles. Guests had an opportunity to sample over 200 wines from over 50 wineries. There was also active bidding available on wine and wine-related items in the silent auction where a portion of the proceeds benefitted the Rhone Rangers Scholarship Fund. Prior to the Grand Tasting guests could also take advantage of wine dinners and seminars. I haven’t done that yet but I did meet a woman that had enjoyed, and learned a lot from, Vines on The Marycrest winemaker Victor Abascal’s seminar on Grenache. Mental note to take a class next time! The two I had and enjoyed were 2012s both from Anna’s Vineyard, the Syrah Reserve and Mourvedre Reserve. A new winery for me to discover, with vineyards in the Sierra Foothills, we enjoyed the 2014 Rose, 2013 Syrah, 2012 Petite Sirah and 2010 Astel Petite Sirah. We did a vertical tasting of Petite Sirahs from 121 year-old vines. The 2010 was awarded 94 points by Robert Parker, while we enjoyed the entire lineup from 2000 through 2005. We also tried the 2013 Trinite red blend and Petite Sirah, but sadly didn’t make it beck for the Vintage Port! Besides the 2010 “Intrepid”, and this being one of my fave Paso wineries, we also loved all of the 2012’s that General Manager Oliver Esparham was pouring starting with the “Beyond Category” blend of Syrah, Grenache, Cabernet Sauvignon, Mourvedre and Petite Sirah – one of our faves of the day. Then, in heady succession came the “Intrepid” blend of Syrah (95%) and Grenache (5%); “Audacious” blend of Syrah, Cabernet Sauvignon and Grenache; “Sagacious” blend of Mourvedre, Syrah and Grenache; and finally “The Nines” 100% Grenache. Sommelier George Skorka’s pick of the day was the Mounts 2013 Viognier, so we simply had to get over there. Very refreshing. Which we then followed with the 2012 Carignane, 2012 Grenache and the 2007 Petasera. We loved their single varietals. The “Diosa” was a very tasty blend! Honestly? If you only had one table to visit for Rhônes I don’t think (and yes you can correct me if I’m wrong) anyone else has more at their table to taste. We had the two library wines mentioned above, stellar, and we could barely get back to the table later to taste their entire lineup. Make sure you do! Manned as usual by affable winemaker Larry Schaffer, also a Rhone Rangers board member, we adored a great barrel sample of his next Rose and his 2006 – his very first – Grenache Blanc that had aged beautifully. Find Larry at his tasting room in Los Olivos. We love everything that Victor Abascal makes. Don’t ever miss visiting with him and his wife Jennifer at their table. My notes are again in italics below. Bonny Doon Vineyard – Say yes to the 2014 Vin Gris de Cigare, aka Pink Wine of the Earth rose blend of Grenache, Mourvedre, Grenache Blanc, Roussanne, Carignane, Cinsaut, Marsanne and Counoise. 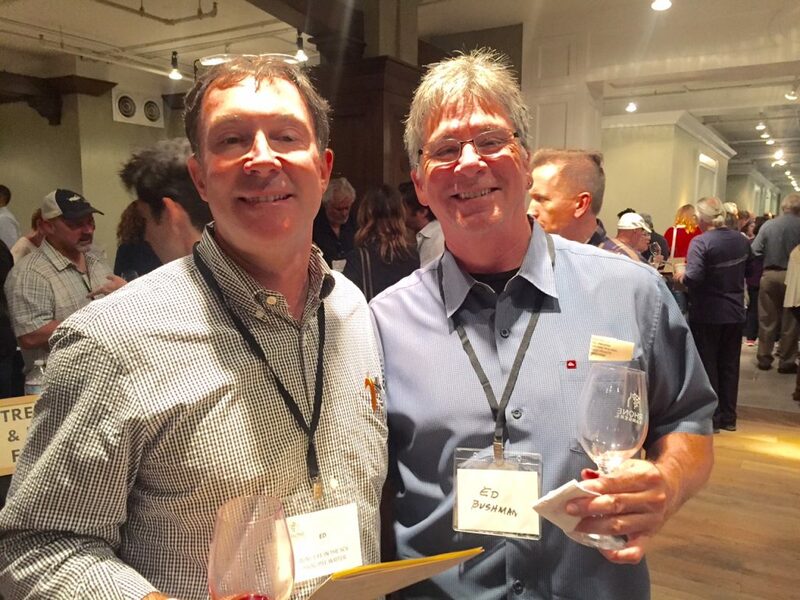 Made even more special as Keith Shulsky – who used to be with Michael-David Winery – is now their National Sales Manager. Some of you may remember Keith from the wine dinner he organized at New Moon in Valencia years ago! Kaleidos served up a killer 100% Syrah, the” Praying Mantis”, and I was sorry I didn’t make it back to the table to try more from them. Mitchella was a new winery for us as well. We enjoyed the 2012 Shameless GSM blend and 2012 Syrah from Paso Robles. ONX Wines is another favorite of ours, and not to be confused with a wine similarly named at Trader Joe’s. We dug Reckoning (Petite Sirah red blend), Crux (GSM with a bit of Alicante Bouschet) and Mad Crush (GSM with a nice amount of Tempranillo) poured by Associate Winemaker Jeff Strekas and Hospitality Leader Annie Bowsky. Ridge Vineyards had an excellent 2013 Carignane and 2011 Syrah. Vina Robles served up their awesome 2010 Syree blend of Syrah and Petite Sirah as well as their 2012 RED4 blend. Vines on the Marycrest and Westwood Estate Wine. Red Grapes: The most common red Rhone varietals are Syrah, Grenache, and Mourvedre, with Syrah predominant in the Northern Rhone and Grenache in the Southern Rhone. Other relatively common red grapes include Cinsault, Carignan, and Petite Sirah. 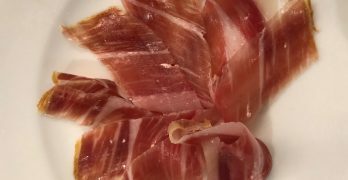 Finally, the list includes some grapes that are found only in trace amounts even in France, and are just beginning to be explored in the United States, including Counoise, Muscardin, Picpoul Noir, Vaccarese, and Terret Noir. For the sticklers out there, the Rhone Rangers have adopted Petite Sirah, a French cross also known as Durif, due to its extensive interplanting with traditional Rhone varietals in California. Learn more about these red Rhone grape varieties! White Grapes: The principal white Rhone varietals are Viognier, Roussanne and Marsanne, each found throughout the Rhone Valley, with Grenache Blanc a widely planted but less well known contributor in the Southern Rhone. The other white grapes include Bourboulenc, Clairette Blanc, Muscat Blanc à Petits Grains, Picardin, Picpoul/Piquepoul Blanc, and Ugni Blanc. Learn more about these white Rhone grape varieties. HEALDSBURG, Calif. /PRNewswire/ — Wine Road, an association of wineries and lodgings in Northern Sonoma County, announces their upcoming 2018 – 2019 event season featuring three signature annual events: Wine & Food Affair, Winter WINEland and Barrel Tasting. 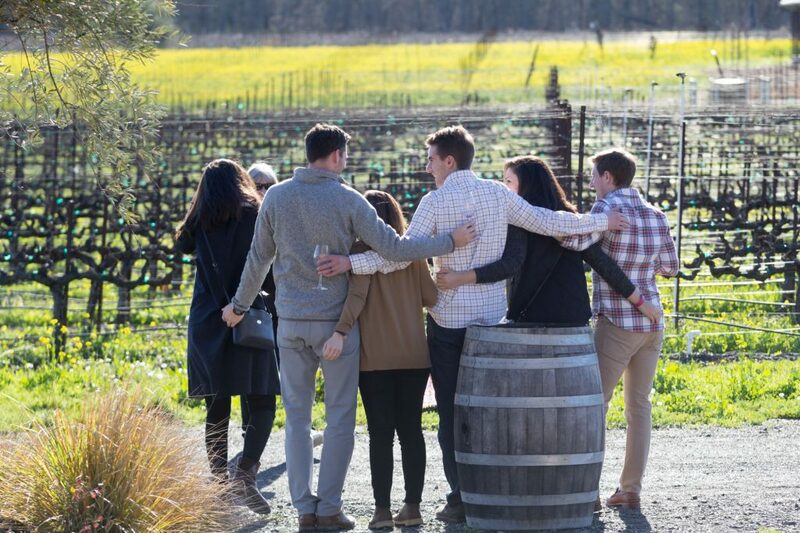 All three events allow guests to visit participating wineries stretching across Sonoma County’s Alexander, Dry Creek, and Russian River Valleys throughout the event weekend. Photo: Wine Road Facebook page. Wine Road’s event season kicks off with the 20th Annual Wine & Food Affair, November 3-4, 2018, 11am – 4pm, featuring two full days of tantalizing food and wine pairings along the Wine Road. Each participating winery offers a taste of gourmet cuisine prepared by a local culinary artist paired with the wine of their choice. Popular pairings in past years include Bacon Fudge Brownies with Syrah Port; New England Clam Chowder with Chardonnay; Mac & Cheese with Pulled Ham paired with Pinot Noir; and Braised Meatball Sliders and Zinfandel. Advance tickets are now on sale online for the weekend ($80), Sunday only ($60), and Designated Driver ($30). After the hectic holidays, the first event of 2019 is Winter WINEland, January 19-20. This “all about the wine” event that provides the perfect winter escape in which visitors can enjoy a less crowded wine country tasting adventure. Advance tickets will begin online on November 6, 2018 and are $45 for the weekend, $35 for Sunday only, and $5 for designated drivers. Lastly, Wine Road will host their 42nd annual Barrel Tasting Weekends, March 1-3 and 8-10. 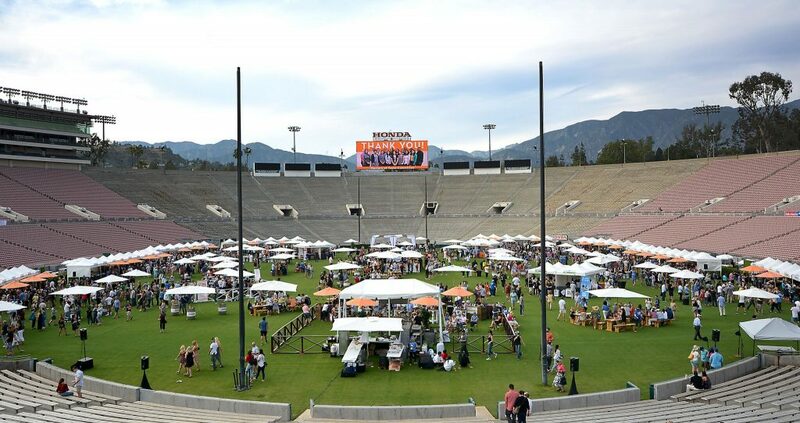 The event offers two weekends of barrel sampling and the opportunity to purchase “futures,” essentially a chance to buy, often at a discount, a wine that is still aging in the barrel. Advance tickets to Barrel Tasting will go on sale online Sunday October 7, 2018 and are $50 for the weekend, $40 for Sunday only, $5 for designated drivers. The Wine Road is a travel resource for those looking to visit the region, which is famous for its renowned wine producers and cuisine, scenic beauty, and wine country lifestyle. Made up of 200 wineries and 54 lodgings throughout the Alexander, Dry Creek, and Russian River valleys in Sonoma County, something is always going on along the Wine Road. VERONA, Italy (PRWEB) – At wine2wine 2018, wine producers, export and marketing managers, consultants, journalists, and experts from all spheres of the wine business will gather for a unique chance to participate in educational sessions, labs, and workshops held by an impressive line-up of speakers of national and international standing. 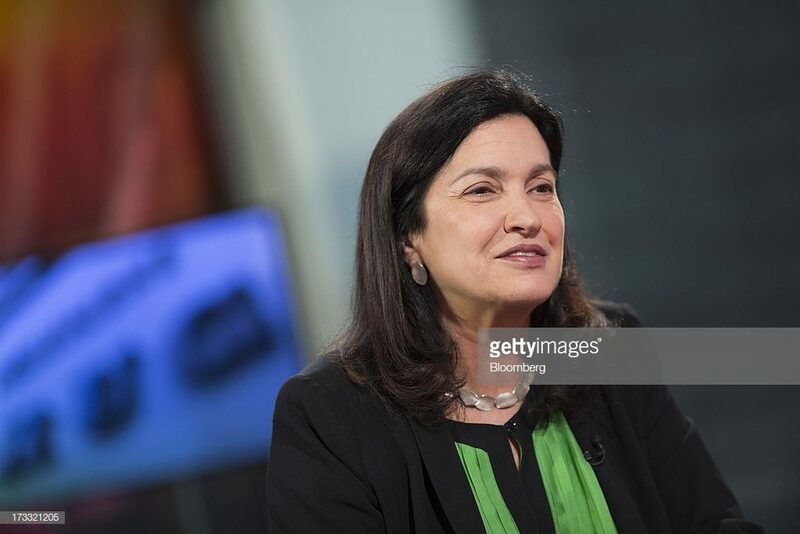 Now at its 5th edition, wine2wine 2018 will open with a keynote address entitled “Luxury brand communication and women’s leadership: Margareth Henriquez shares her story.” In this speech, President and CEO of Krug Champagne and the LVMH Wine Estates will address the way digital tools and storytelling techniques are best integrated into the promotion and brand communication of wines. In addition to Henriquez, wine2wine will also feature the youngest Master of Wine in the world, Sarah Heller, who lives and work in Hong Kong. Heller will explain how younger Asian female consumers are driving wine consumption growth and changing the tone of the conversation across the Asian continent. 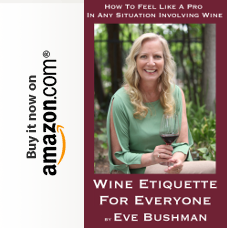 She will discuss the way Italian wineries can make their branding campaigns and promotional messages resonate with this new wave of eager wine consumers. Another international guest of the convention is Geoff Kruth, Master Sommelier and President of the sommelier association GuildSomm. Kruth’s speech is entitled “Sommeliers and Their Influence in the US Market,” and will address the growth and influence of the sommelier figure in the US wine market. Kruth will touch on crucial topics for Italian wineries that are looking to deepen their understanding of the US market: how sommeliers add value to restaurants and their customers; how to extend the reach of the sommelier through social media; and how wineries can work with sommeliers to reach new customers. This year wine2wine will also showcase a new 45-minute format, with each session being made up by a 30-minute presentation followed by a 15-minute Q&A. At the end of each presentation, the speakers will highlight practical ‘takeaways’, that is, hands-on suggestions that participants will be able to apply directly to their business. The Q&A part calls for a direct interaction between speakers and attendees. 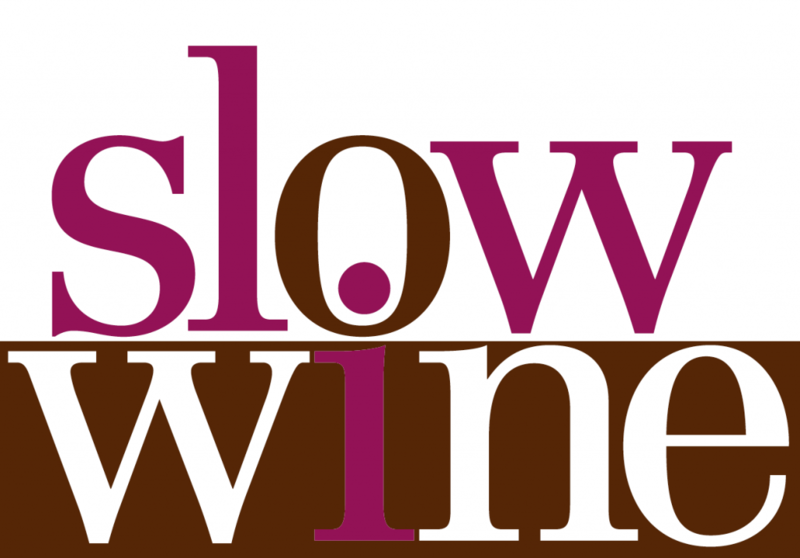 In addition, there will be another 15-minute time window during which participants will have the chance to connect and network with other wine professionals. As part of the revamp of the new edition, #w2wLabs have been included in the program. These sessions are practical demonstrations open to a selected audience, who will have the opportunity to learn about optimizing a website, write a successful PR, or leverage Instagram to grow business. Participating wineries will also have the chance to enrol for B2B sessions, where they will meet and present their products to buyers from some of the world’s developing wine markets such as South Corea, Poland, Mexico, and Switzerland. Once again, “HireMeVinitaly” will open the second day staging a speed dating between winery owners and professionals seeking to work in the wine industry. 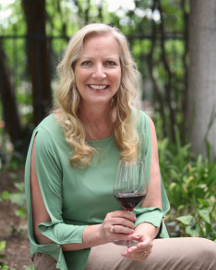 For the third year at wine2wine, Wine Spectator’s Senior Editor and Tasting Director Alison Napjus will reveal the 100 Finest Italian wine producers chosen by the magazine for OperaWine 2019, which will be held on Saturday, April 6th. In a dedicated session during wine2wine Napjus will also explain what wineries need to do in order to be selected for the glamorous gala that traditionally opens Vinitaly. The 2018 edition of wine2wine will also be remembered for the strong presence of wine producers, who will moderate some of the 60+ sessions included in this year’s program: Valentina Argiolas (Argiolas Winery), Matteo Lunelli (FerrariTrento), Andrea Sartori (Sartori Wines), Ettore Nicoletto (Santa Margherita Group), Jose Rallo (Donnafugata) and Carlo Franchetti (Franchetti Wines) are just a few of the top names in the world of Italian wine that will be present at the event. Xiaohan Zhang, marketing director at Zacky’s China. How to be listed in a Michelin-starred restaurant. An Early Bird special tariff is now available until the end of the month. For further information, visit the wine2wine website on http://www.wine2wine.net or write to info(at)wine2wine.net. Share your experience by using the hashtag #wine2wine. Special thanks to ICE, the Italian Trade Agency and the Ministry of Economic Development that supported and financed the fifth edition of wine2wine as part of their campaigns aimed at promoting Italian wine and Made in Italy around the world. 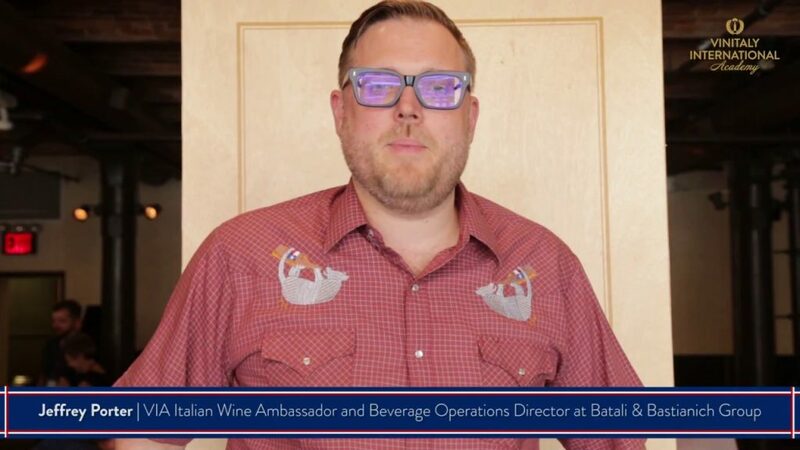 NEW YORK (PRWEB) – Jeff Porter, beverage director of the Bastianich Group and one of the most influential sommeliers in the US for fine Italian wine, together with I.E.E.M. (http://www.ieemusa.com) and Colangelo & Partners (http://www.colangelopr.com), has created ‘Sip Trip,’ a new Web-based show that will give Italian wine lovers an up-close & personal view into some of Italy’s top wineries and wine regions. The Sip Trip crew ─ which includes Jeff accompanied by two wine pros and a journalist from leading wine and spirits website, Vinepair (http://www.vinepair.com) ─ hits the road this November and December with stops in Piedmont (the Asti and Nizza Consortia, Renato Ratti, Pio Cesare and Fontanafredda), the Veneto (Masi, Zenato), Lombardy (Ca’ del Bosco), Tuscany (the Brunello Consortium and Castello di Monsanto), Umbria (Falesco), Le Marchè (Ciù Ciù) and Campania (Mastroberardino). “The concept for Sip Trip is simple: I travel to Italy’s greatest wineries and wine regions with two top Sommeliers, drink great wine, interview interesting people and explore the culture and history of Italy. What could be better than that?” explains Jeff. The tone of Sip Trip will be fun and informative. Jeff and friends will tell compelling stories of great wines, estates and regions in their historical and cultural context while avoiding technical wine jargon and repeated shots of swirling wine glasses. The first Sip Trip episodes will begin airing in the Spring of 2019. Currently, there are 12 episodes planned for Season 1. Originally from Texas, Jeff’s passion for wine started while at the University of Texas at Austin. He began his career at Central Market in Austin, Texas. After graduating, Jeff moved to California where he worked as a sales person for a wholesaler in the Bay Area. His sommelier career began in Napa Valley working at Tra Vigne Ristorante in St. Helena, California. He joined the Batali & Bastianich Hospitality Group in 2009 at Osteria Mozza. In 2011 he moved to New York to become the wine director for Del Posto, and in 2014, Jeff became the Beverage Operations Director of the B&B Hospitality Group, overseeing the beverage programs for Babbo, Del Posto, Esca, Lupa, Otto, Babbo Pizzeria & Enoteca in Boston, MA, and the group’s newest restaurant, La Sirena at the Maritime Hotel. I.E.E.M. : (International Event & Exhibition Management), the Miami-based branch of I.E.M. (International Exhibition Management), is a comprehensive agency specializing in marketing, events production and public relations for the wine industry. Driven by a passion for trade shows and a flair for flawless organization, I.E.M. was founded in 1999 by industry veterans Giancarlo Voglino and Marina Nedic. A reputation for reliably delivering high-quality events, coupled with its extensive network of wine trade professionals and international media, places IEEM/IEM among the most highly regarded Italian wine event organizers in the world. Learn more by visiting http://www.ieemusa.com. Colangelo & Partners (http://www.colangelopr.com) specializes in premium food, wine and spirits, and has long established relationships with the key press that drive these business categories and help determine the industry leaders. Agency principals have years of experience in retail and distribution as well as communications, a rare combination that gives Colangelo & Partners invaluable insights into consumer purchasing behavior. The agency focuses on ‘closing the loop’ between creative communications programs, distribution, promotion, publicity and the consumer in order to maximize the efficiency of its communications programs and deliver measurable results. Founded in 2006, Colangelo & Partners was honored as one of the year’s top integrated communications firms at the 2013 Agency Elite Awards and for one of the best digital marketing campaigns at the 2014 Digital PR Awards. Beverly Hills – Were you aware that ​Cabernet Sauvignon, the most cultivated grape in the world, is the result of a marriage between the Cabernet Franc and Sauvignon Blanc grape varietals? In celebration of Cabernet Sauvignon, “STARS of Cabernet” is the premier tasting event of the year! More than 30 of the best Cabernet producing wineries in California–and the world, will showcase their Cabernets and other wine varieties. Come and taste over 100 different wines hailing from Napa, Sonoma, Paso Robles, Santa Barbara, France, Argentina and Chile. List of wineries set to pour: Wines of South Africa, Trujillo Wines, Vineyard 29, Alpha Omega, Palazzo Wine, Frank Family Vineyards, Roy Estate, CAMi Vineyards, Bernardus Winery, Addendum, Allegretto Wines, Hawk and Horse Vineyards, axr, Hestan Vineyards, Jonata, Ladera Vineyards, Moraga Bel Air, Roca Family Vineyards, Hertelendy, The Debate, Clark-Claudon Vineyards, Michael Rolland, Duckhorn Vineyards. Merryvale Vineyards, JACK Winery, Almaviva Winery, S.R. 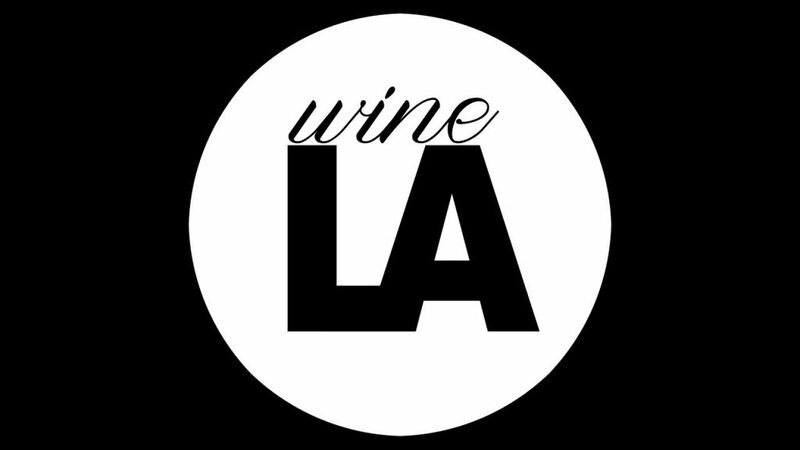 Tonella Cellars, The Unfiltered Collection, VGS Chateau Potella & many more! The evening will commence at 6pm with a VIP-access-only vintage tasting, followed by a PENINSULA catered dinner buffet- Acquaint yourself with the world of Cabernet while enjoying exquisite tray-passed appetizers! From 9-9:30pm, guests will enjoy a delicious dessert after-party. A silent auction containing collectable and large format wines will benefit The TJ Martell Foundation–the music industry’s largest entity funding innovative medical research focused on finding cures for leukemia, cancer and AIDS, as well as sourcing/supporting early-stage research projects aimed at developing more effective clinical treatments for patients who otherwise cannot afford a panacea. Learn more at​ tjmartell.org​. For information and ticket purchasing, please visit ​Stars of Cabernet. STARS of Cabernet thanks its generous sponsors: Peninsula Hotel, Los Angeles Magazine, Evian, ​Robb Report, The Somm Journal and Tasting Panel Magazine. GENEVA, N.Y.– The Finger Lakes Wine Alliance (FLWA) is proud to announce that the Finger Lakes wine region has been named the “Best Wine Region” by voters in the USA Today 10 Best Readers’ Choice 2018 Contest. Regions were selected by a panel of wine industry experts with the Finger Lakes topping a list of 20 regions including the Willamette Valley, Santa Barbara County, and Walla, Walla Valley. 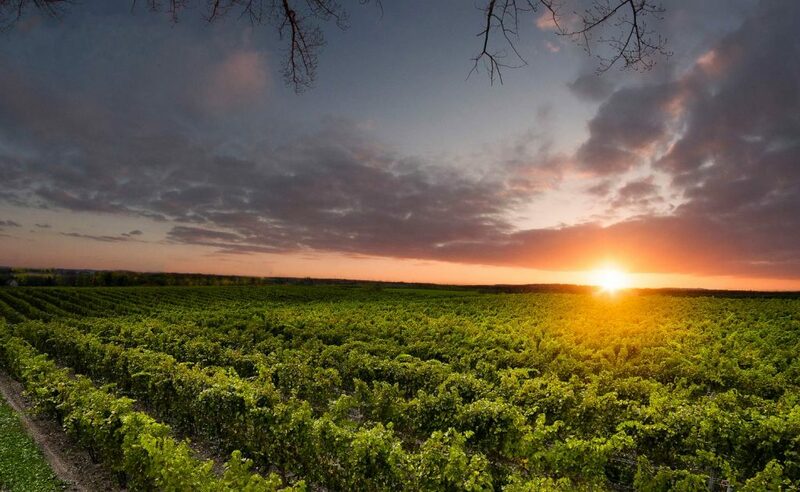 With its glacier-sculpted landscapes, ideal microclimates and gifted winegrowers, the Finger Lakes region is home to over 130 wineries that produce exceptional cool-climate wines and world class Rieslings. Founded in 2004, Finger Lakes Wine Alliance is a not-for-profit corporation whose mission is to increase the visibility and reputation of the Finger Lakes region, its wines and wineries. The alliance is comprised of 38 members and 15 affiliated businesses and vendors, and it is guided by a board of directors comprised of principals representing all four wine trails and non-wine trail wineries of the Finger Lakes. With its glacier-sculpted landscapes, ideal microclimates and gifted winegrowers, the Finger Lakes region is home to over 100 wineries that produce exceptional cool-climate wines and world-class Rieslings. For more information, visit www.fingerlakeswinealliance.com, call 315.791.2359 or connect on Facebook, Instagram or Twitter.